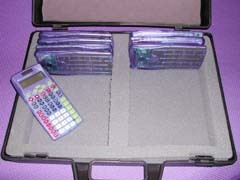 Calculator Storage Cases for Elementary School. 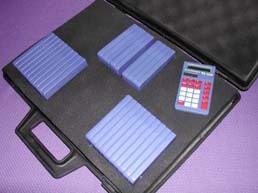 CCS manufactures storage cases for most non-graphing TI calculators. Samples are shown below. 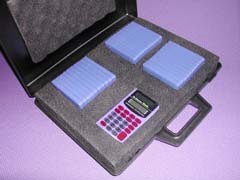 All cases are in a hard black plastic case with foam inserts to hold the calculators in place. At a glance you can see if one is missing. If you require a special case, please contact CCS. TI-108 calculators plus the Overhead calculator. 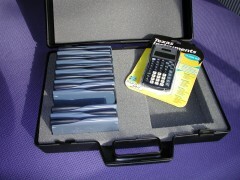 TI-30X II S., TI-30Xa., TI-30X IIS ., or TI-34X II calculators.